Tobie came to Yoga in London in the early 2000s. A keen rugby player and athlete, he gained a BSc in Psychology and went on to run a construction firm for many years. This led him to yoga when looking for relief from chronic back pain. He undertook his first yoga teacher training in London with the inspiring Linda d’Antal (at the AOCY) and has completed further trainings in Europe and India. Whilst he sees asana (physical postures) as a powerful mental and physical tool, he believes strongly in the balance that can be obtained through the simple act of giving oneself time and space to dive into all areas of our bodies. By trusting our intuition, rather than any dogma, equanimity can be brought to all aspects of life. There is no substitute for experience. Tobie enjoys deconstructing the bio-mechanical nature of our beings, allowing us to follow certain structural and physiological principles. However, he believes in a fundamental mind-body synergy, one we can access and affect by helping each other expand, heal, and enjoy life. 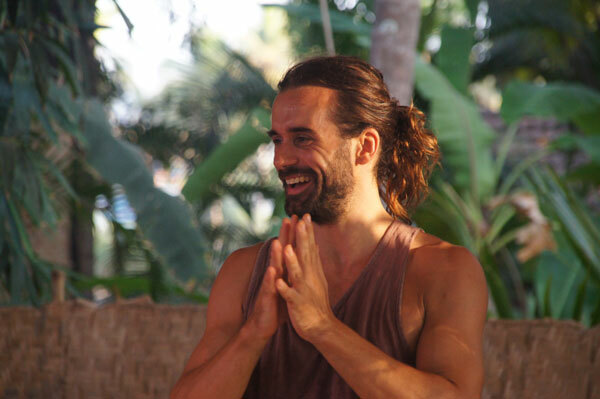 Part of the International Teacher Training Faculty, Tobie leads teacher trainings for ‘Ashiyana’ in Europe and Indo-Asia – and has spent the past seven years teaching yoga in India. Meanwhile, he is also a keen student and practitioner of many styles of bodywork and pain relief techniques, including: Dynamic & Osteo-Thai massage, Chi Nei Tsanf, and Fascial Release.